The Annual General Meeting of SLIIT Gaming Community concluded successfully for the third consecutive time on 24th of February 2018 at the mini Auditorium 11.00 a.m. onwards. Around 30 people including Lecturers in charge, SIS, former backstage crew members and present backstage members participated to this occasion. In this meeting the past, present situation and new ideas were discussed. The two lecturers in charge Mr.Lakmal Rupasinghe and Mr.Kavinga Yapa delivered their speeches and gave motivation to develop the SLIIT Gaming Community as well as their wishes and advices for future events. Also the former Presidents, Saranga Karunaratne and Kasun Rathnayaka delivered their speeches and shared past experience about the community and working as a community. 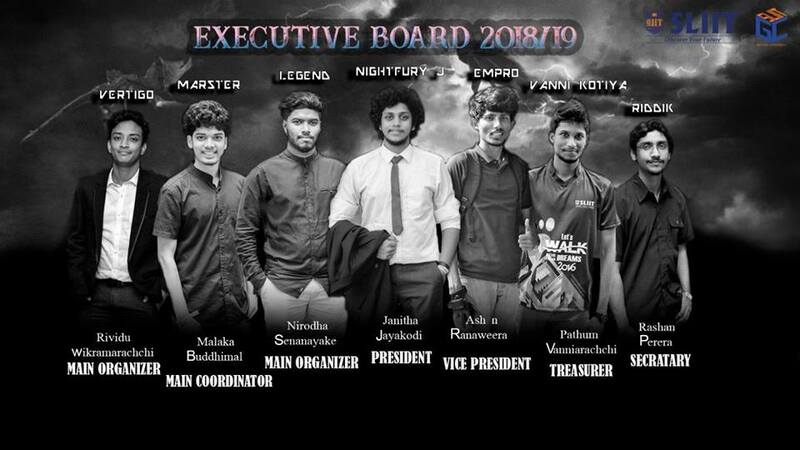 Thereafter the new Executive Board For the new term of 2018/19 was elected. Finally the New President of the SLIIT Gaming Community gave his speech regarding the scope and the future plans of the society.